Win in a blink of an eye! 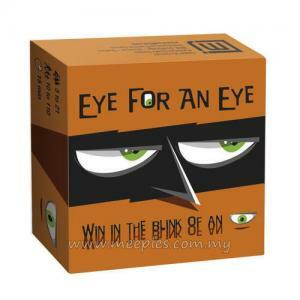 Eye for an Eye is a quick and easy game designed to have you howling with laughter. 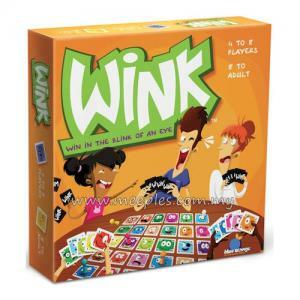 A single game is short, but you'll find it hard to stop yourself from playing again and again; if you're not careful, your whole evening might disappear in the blink of an eye! Each player starts the game with a secret personality card, determining if they are a Druid or an Ovate. The Druids seek to hypnotise the Ovates without being noticed. Hypnosis is achieved by a rapid and discreet wink of the eye. The Ovates, meanwhile, seek to unmask the Druids. For each game, there is a loser... and for each loser, a terrible test. Ideal for large groups, especially pre-teens, teens and cool adults.